When choosing to implement online learning initiatives, whether it is for single course enrichment or a full-time cyber academy, schools are forced to ask and answer many questions related to logistics, curriculum, and student success. Who will enroll students? Who will monitor student progress? Should we align curriculum? What will we do if the students are not successful? How will we provide technology support to students? 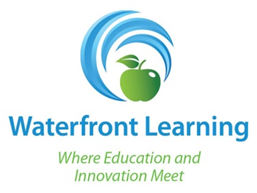 Depending on the packaging option chosen, schools have access to a variety of Waterfront Learning support services. PLEASE NOTE: Support services vary by county.